I received a call from my unit commander and he let me know that due to some ongoing discussion regarding true force representation, I may at some point be bumped to 000 or Patron status. Not a problem at all, I've been gone from active participation for two years and probably will be gone for two more while I finish up college. However, due to the possibility, I've decided that I might as well move over to the SM side now, so that I don't have to worry about it come February and my birthday when I'll be away from the unit and back to classwork. That said, I've taken the Level I quizzes (total of 6, correct? ), and will be bringing those with me to the unit when I get my fingerprinting and other stuff done. I've also taken the Yeager test - passed. What other tests are SMs required/should take? P.S. As my signature shows, I have the Earhart, so there's some benefit regarding Cadet Programs PD. Make sure you have the other requirements taken care of: CPPT, EO and ORM Basic. Also make sure your commander or PDO gets you credit for the Tech rating in CP and the Yeager. Since you are under 21, once you've completed Level I you're eligible for TFO, which converts to 1st Lt after you turn 21. Sign up for the CAP Officer Basic Course and take SLS/CLC whenever it's offered. And don't forget TLC, since it's required for a senior rating in CP. Check CAPR 50-17, Section 9. As an Earhart cadet, you may be in pretty good shape. CPPT was done back in 08, when I turned 18. EO and ORM Basic is on the list. COBC will probably get on the list once I roll over, as it's online. SLS/CLC may wait until I re-engage post college, but we'll see. Same for TLC. Good decision coming over to the dark side. You get a pair of light sabres on your collar like me I'm a TFO and will be SFO in January. As an Earhart cadet, you are eligible for a Tech rating in CP. See CAPR 50-17 para. 9-1. You are also eligible for a grade of TFO until you turn 21. Note that this is at the discretion of the SQ/CC. See CAPR 35-5 Section G.
Foundations...as in the 6 little quizzes I took? I knew it! Just didn't look it up before printing it out. You have a cite for it? Save some time for the SMs processing this, and myself at the meeting. As a cadet you don't have to do the foundations course at all. You are over 18 I assume so you have already had CPP. I think all you have to do is drop your application and fingerprint card and you are set. You have a cite for it? "3.7. Former CAP Cadets. Upon reaching age 21, former CAP cadets who reached certain levels of achievement in the CAP cadet program are eligible for appointment to the senior member officer grades outlined in figure 5. (See figure 8 for grades authorized former cadets under age 21). NOTE: These members are exempt from the foundations portion of Level I of the Senior Member Professional Development Program provided they have less than a 2-year membership break prior to assuming senior member status. The CPPT and OPSEC portions must be completed prior to any promotion action." I assume it doesn't need to be "active" membership, and your patron status won't affect this. Ok, so all I have to do is EO and ORM to be all set...to go back to inactivity as a SM. You may have done it at the same time, but it isn't included in Level 1.
a. Former CAP cadets transferring to senior member status, provided they earned the Mitchell Award or higher and have less than a 2-year membership break prior to assuming senior member status. However, they still must complete Cadet Protection Program Training (CPPT) and OPSEC training (if not already completed), as well as EO Training. In this case, units must notify NHQ CAP/PMM with substantiating documentation. A fingerprint card must also be submitted to NHQ CAP/DPP at the time of application for senior membership. ORM is a requirement for everyone....not just Level I. New members should get it as part of their Level I training or Curry Acheivement. But technically it is not part of either one of those. Patron status is considered active membership, but you are not allowed to wear the uniform or attend normal activities. There's some other caveats that I cannot remember at the moment, but it's all in the regs. How to I substantiate doing it? You have to log in with your last name and CAPID. When you finish, it will retain completion and put it in the system. I just tried to take it again, and it told me I had already completed it. Ok, looks like it works. How many questions is ORM basic? I can't seem to find the source for this requirement. Can you help me find it? Since that is where I just looked, can you be more specific? Avoid getting placed into the '000' squadron or go into Patron status - the TIG clock stops while in Patron status; not sure if '000' does as well. Even though my current job keeps me from being active in my new squadron, I still remain an active, dues-paying member. If there's a way I can help out the squadron, even remotely, I'll be glad to help out. TIG does not stop in 000. Which is fine if that's the case, however for anyone thinking about taking time away from CAP, 000 or patron are the only fair options to the unit CC and his staff, otherwise they have to maintain your jacket in accordance with the various regs, and your name will pop up every time there's a report run for various compliance issues. Members willing to stay current on online tests and similar are generally not an issue. not being a PITA for the commander. Something I was considering anyway, since again, I'm not active while in College. The potential push for true representation (which I think should've been done a long time ago), is just a perfect kick in the pants to get it going. Now, can I take the COBC as a Patron? If not, then I guess I'm SOL, since there's a backlog for what, close to a year now? (and why is that even the case with an ONLINE course, which potentially can be graded automatically?) SLS/CLC and TLC are in-person courses, and I might just as well wait to use them as "refreshers" when re-engaging. No, OBC is only open to active members - its not something you really need for a few years, especially if you aren't going to be be active. NHQ only purchased 180 licenses for the program, so that is their limit on who can be enrolled. Still, considering there were folks who did the course in a few hours, giving people 6 or so weeks to do it obviously limits the pool. Under "3. Required Program Criteria." (2) New members will receive ORM familiarization training, which is included in the Level One Foundations Course. The interesting part is "new members" and "which is included in the Level One Foundations Course. Though he or she is already exempt from taking the Foundations Course. The ORM familiarization training is part of the Policies module in the Level One Foundations Course. I can see, however, that this can be understood as requiring ORM basic, but if ORM basic was required for Level I, it would be included like OPSEC and EO on the Level I webpage. If you have access to CAP Reports under E-services it will print out a list of who in the unit has and hasn't completed EEO. Just have your CC print it out for proof. I'll check with him to make sure. I just went to the dark side earlier this month. In all honesty, I think going Senior early should not be taken lightly. You can't rejoin as a cadet if you suddenly decide you want to go to a NCSA or some other activity. When I first joined 6 years ago, FO's were very few and far between. About two years ago, it seems their popularity exploded around here. So, if you feel you are done with the Cadet program, then go right for the transfer. This thread has been pretty helpful, as I've been learning as I go along; my squadron hasn't had Cadet to Senior transfer in a long time, and I'm little rusty on the Senior PD regs. I joined at 13 in 2003. I'm now 20 in 2010, so I'll be aged-out by February, thus no NCSAs. Either way, college stole my time for the last two years. I aged out two weeks after my fourth encampment. Very fitting end to a Cadet career, IMHO. I do wish I had made it to more NCSA's, though. It appears that all that's needed for Level 2 is Technician Rating (Earhart), CAP Officer Basic Course, and SLS. The last two requirements can be completed online. Then just the wait time between 1st Lt and Captain. months time in grade as a 1st Lt.
months time in grade as a TFO. I know there's less time spent between 18-21 compared to 21-RIP, but I wonder how the TIG gets added up with someone who say promotes to TFO at 20 and 2 months old. Do they just wait the two months that are left, 3 months (18/12 = 1.5), or now have to wait 8 months until the promotion to Capt as opposed to the 20 y.o. who becomes TFO/Capt at 21? Your TIG as TFO and 1LT will be added together to get your total TIG to be credited towards your railroad tracks (I think). Also, make sure that your group/wing doesn't convene a Captain board for Captain promotions. I've heard my group is, so it's not as easy as just doing your TIG and getting captain bars. TIG as TFO counts toward promotion to 1st Lt, not Capt. TIG as SFO counts toward promotion to Capt. Since you cannot make SFO before you turn 21 and since your Earhart already will make you eligible for 1st Lt when you turn 21, TFO does nothing to decrease the time to make Capt. You will have to wait 18 months after being promoted to 1st Lt to be eligible for Capt. Also, you will not be eligible for promotion at age 21 if you are in Patron status. No! TIG as TFO can be combined with TIG as 1LT to complete the 18 months required for CPT. Check CAPR 35-5. Just so we're clear on that... So tig as tfo would count towards Capt. I'll get you a reg cote when I'm on my computer. Not quite. For some reason, the reg doesn't draw a clear parallel between the two. It says you need 18months as SFO or 1st Lt before turning Captain. As a former SFO, I remember having to navigate it. Figure 2. Minimum Skill Levels and Time-In-Grade Requirements for Duty Performance Promotions. I have checked CAPR 35-5. As you can see, TFO is not equivalent to 1st Lt in the sense that TFO TIG is applied to promotion to 1st Lt but not to Capt. Perhaps before referring someone to a regulation, it would be prudent to double check said regulation. It would appear that you're right... Very odd, I don't remember it being that way when I looked it up. Oh well. Yep, that's what I saw as well when I looked it up. Oh well, I'm in no Rush. Since you're an Earhart cadet, and would be automatically (yeah not truly automatically, but i doubt anyone would hold you from it) a 1st Lt when you come over, and when you turn 21, common sense would dictate that all your time from when you convert would be towards Captain. I guess it's just a discrepancy in the system, eh? I can ask my Group CC right now, as long as Eclipse checks this. professional development credit you rightly deserve for your several years of active CAP cadet service, so that the conversations should you be active again are less complicated, not to drill down to every loop hole and turn the program into a correspondence course so we can make you a Col. before you go patron. Yes Sir, completely understood. Not trying to get to Captain by 21 - impossible (and pointless while not active) as is, just trying to wrap my head around the situation with 18-21 and 21-on SM status, though CAPR 35-5 is pretty clear and Patron Status is a TIG killer. Now, does Patron status affect membership continuity? I know that cadet time doesn't count towards CAP Retirement, otherwise there would be a lot of 32 year olds with a "20" on their Red Service and eligible for the retirement, but if a SM goes patron, say for a year between activity, does that year count towards their "20"? Its 20 years of service, not necessarily continuous - no idea if Patron membership counts, its not mentioned in 35-1. Prob a call to NHQ. My guess is since one cannot be promoted while as a Patron member, I guess the clock "stops" and is restarted after returning as a Active member. Again you might want to seek clarification on that. 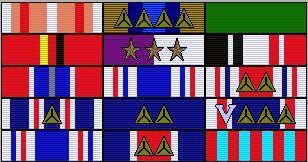 Cadet service counts toward clasps on the Red Service Ribbon, even if it does not count for retirement. I cannot find anything in CAPR 35-1 or CAPR 39-2 disallowing time in Patron status from counting toward requirement. I cannot find anything in CAPR 35-5 or CAPR 39-2 disallowing time in Patron status from counting toward TIG for promotion. I cannot find anything in CAPR 39-3 or CAPR 39-2 disallowing time in Patron status from counting toward clasps on the Red Service Ribbon. CAPR 39-2 Civil Air Patrol Membership 16 JUNE 2004 INCLUDES CHANGE 3, 1 OCTOBER 2009 .
b. Patron Member. A patron member is a financialsupporter who maintains current membership through payment of annualmembership dues and participates in a limited capacity as outlinedbelow. a) Receive a specially annotated membership card. b) Receive the Civil Air Patrol News. c) Receive discounts associated with senior membership (car rental, etc.). d) Retain the last grade held prior to entering patron status. e) Attend wing and region conferences and the annual National Boardmeeting and the National Congress on Aviation and Space Educationsponsored by National Headquarters. f) Attend special unit social events upon invitation by the commanderconcerned, such as anniversary celebrations, awards banquets, holidayparties, etc. g) Use Civil Air Patrol ground transportation, but use of Civil Air Patrol air transportation is prohibited. a) Wear the CAP uniform. c) Participate in CAP activities in any capacity except to attendspecified conferences and social events as outlined in paragraphs3-1b(1)e and f above. d) Be promoted while in patron status. 3) Transfers to patron member status will be submitted to NationalHeadquarters on CAPF 2a. Section II, Duty Assignment/Status Change,will be used, i.e., transfer from "Active Status" to "Patron Status. "The original copy will be forwarded directly to National Headquartersand the file copy placed in the members' personnel file. Membersdesiring to transfer back to active status will use the same procedure.NOTE: Patrons transferring to active status who have not previouslycompleted the FBI screening procedures must include a FD Form 258 withthe CAPF 2a. A copy from the Knowledge base. Nothing specific there about TIG suspension though. Very interesting, if that is the case, lets say because I was a patron member 6 months before joining a squadron and transferring to "Active" member status, are you saying I can apply for promotion to 2D LT now (already completed all of level 1) instead of the time I started when I became an "active" member"? I'm not sure if that goes for the "spirit" of the regulations. Of course I'm not aiming to do that, and all promotions must be approved by the higher ups. Just not too clear on if time in grade works as a patron. You are always a member of a squadron - you cannot join as a Patron Member and not be a member of a unit. Your three flags will go green when they go green, whether the commander chooses to click "approve", is subjective. Maybe I should of reworded a bit, I was a SM with NHQ-996 ("Patron" Squadron) before joining into a active squadron as an active member. It's a problem, If I get a spark, I start getting annoying...Lol. Either way, I have all the pertinent information printed/copied so hopefully tonight I can take care of everything needed before going back to college AWOL. "Right Now" I have time. School is out, no night classes. Day 11 as Evacuee and counting after all.